New York City pharmacies won’t be allowed to sell cigarettes or other tobacco products starting Tuesday. 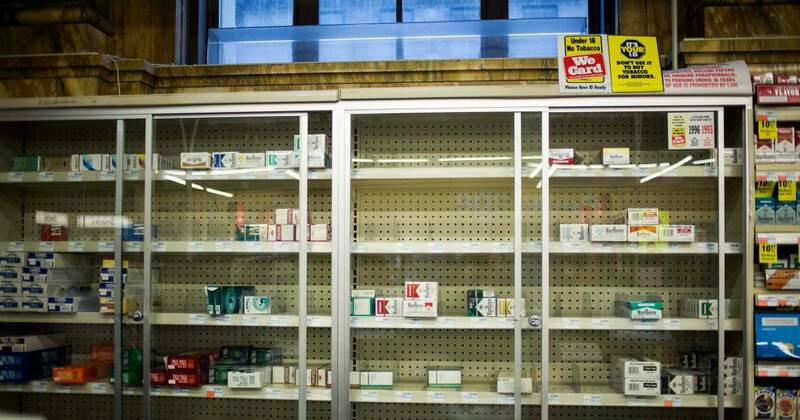 The Wall Street Journal reports the ban also includes businesses that contain pharmacies, such as supermarkets and big-box stores. The city’s health department says the change will affect about 500 pharmacies currently selling tobacco products. The new rules follow a ban on electronic cigarette sales at pharmacies that took effect in late August. The owner of the St. George Pharmacy on Staten Island says cigarette sales had drawn customers who ended up making other purchases. Al Gentile says the government shouldn’t ban certain stores from selling tobacco products that can be purchased elsewhere. But a deputy health commissioner, Sonia Angell, says it’s important for pharmacies to promote health.